It was so nice at your place yesterday. it got Thomas beautifully tired and he napped and slept so well last night. 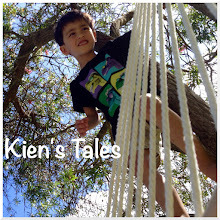 Kien is looking very happy and he is such a fun boy. I hope to see him walking next time. Mat really enjoyed playing with him.